position: Home >> News >> How to Choose Indoor Wall Fountains? How to Choose Indoor Wall Fountains? 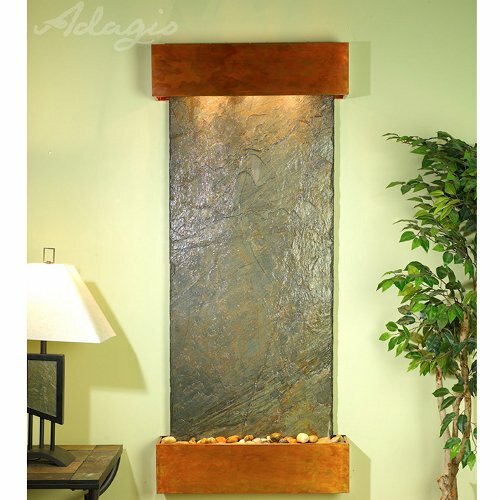 Indoor wall fountains are always considered as a great way to incorporate nature in your house or other indoor space. They are unique work of art that changes momentarily. Thus, it is the best way to make you feel good both outside and inside by keeping them in your space. The question however of many interested people is how to choose the indoor fountains to match their house? Well, you could take the following tips as reference. With the plenty of indoor wall fountains available today, it can be very confusing to choose an indoor wall fountain. Thus, before you proceed with purchasing one, it’s best to first envision and imagine what you really want. Then, it’s time to go down to the basics. Where do you want to place your fountain? Do you want to place it in the corner of the living room? Do you want to place it in the hallway or do you want to put in inside your bedroom? You can even use the science of geomancy to decide the placement of your fountain. As you can see, the list is really endless and if you choose to go to the fountain store before making a decision on what you really want, you will surely end up confused. However, if you already have decided on the kind and style of fountain you want, choosing and purchasing one will surely be a breeze and as easy as ABC.